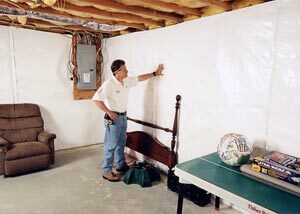 CleanSpace® Wall is a durable, pliable material that is made out of 20-mil poly-reinforced material. It's bright white in color, and includes a 25-year warranty for wear and tear. 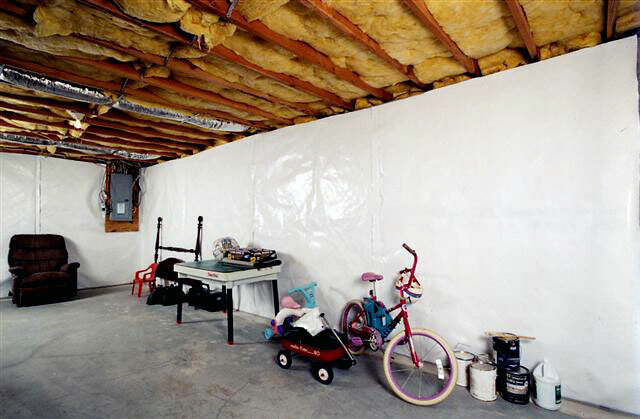 When installed on basement walls and floors, it creates a powerful vapor barrier. Any moisture or leaking water can easily be directed from the material into a perimeter drain system. If you have stone basement walls, dirt floors, or unusual obstacles such as boulders in your basement, this is the ideal (and budget-friendly) solution for you! At Basement Systems, we offer a selection of nine different basement wall products. 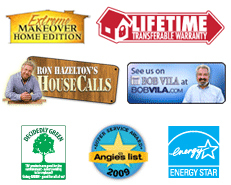 Each one is custom-made to address a different need of our customers. For more information on which of our award-winning basement wall products is best for your home, contact us today! We'll get you in touch with your local Basement Systems Dealer, who can schedule a free basement quote for you, and answer any questions you may have about our products, services, and pricing. 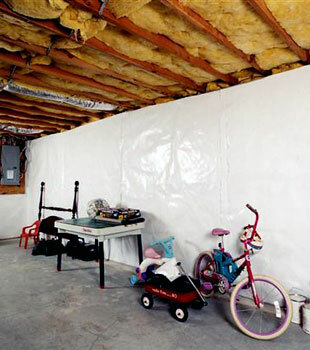 CleanSpace® Wall includes a unique antimicrobial called UltraFresh™. This additive will inhibits the growth of mild, mildew, and bacteria on your walls, ensuring that they stay looking great for decades to home. Unlike waterproof paints and coatings that adhere to the walls only to peel and flake off later, CleanSpace® Wall is mechanically attached with plastic, drilled-in fasteners. This ensures that the wall system is permanently affixed to your wall surface. 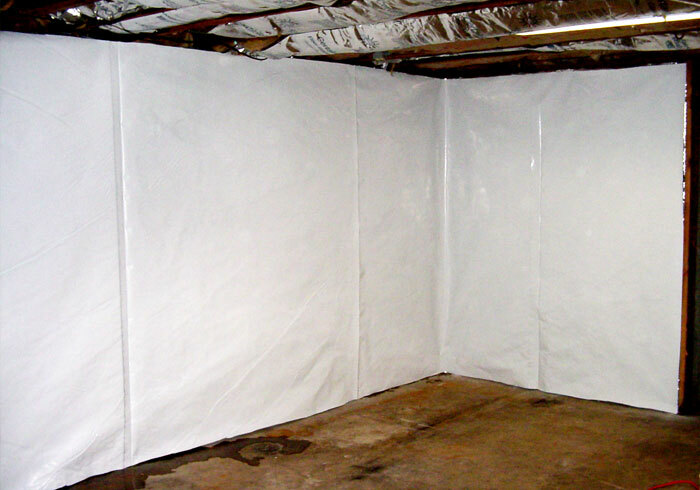 The CleanSpace® Wall System is designed to hold back moisture and humidity that may make its way through the dirt and walls. Any moisture or seeping water that collects behind the wall system is naturally redirected into your perimeter drain. Whether you have wavy walls, dirt floors, boulders, or walls back out of brick or stone, this is the wall system for you! 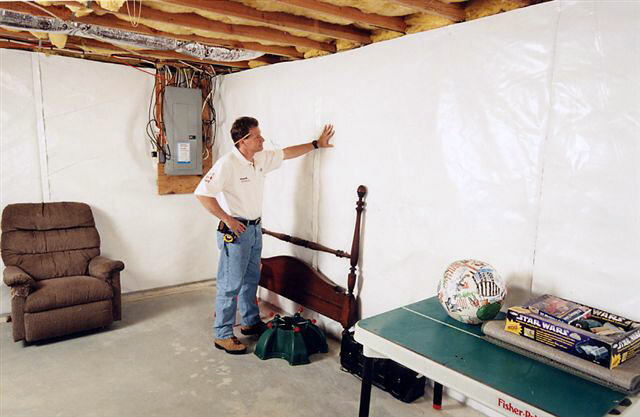 CleanSpace® Wall can be installed on wall and floor surfaces, protecting your entire basement from problems with moisture and humidity. 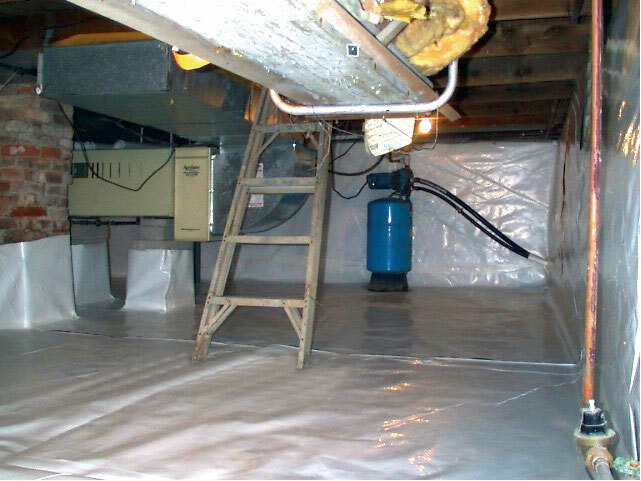 More about Waterproofing Dirt Basement Floors. Let Us Help You Create A Drier, Healthier Basement! our CleanSpace® Wall System is the answer for homeowners who would like to do something to improve the appearance of their basement but feel it's hopeless. With one fast installation (usually a day or less), we can permanently upgrade your basement, while also helping to control humidity, mold, and moisture issues. 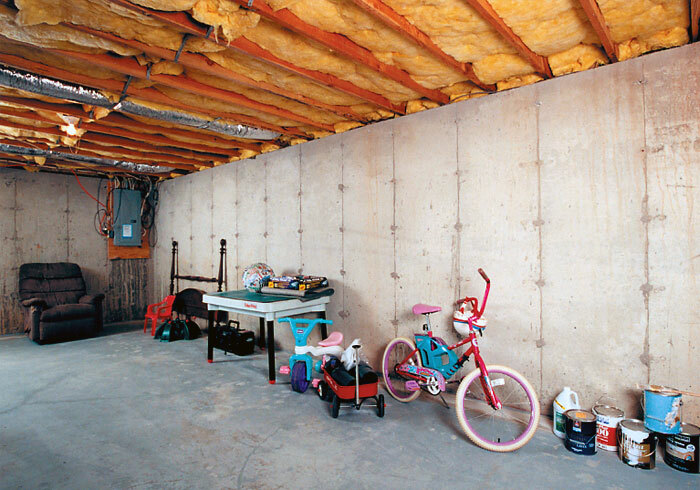 Contact us by phone or e-mail today to schedule a free basement wall installation quote! Your local dealer would be glad to meet with you (at no charge) to inspect your basement, suggest a solution, and provide you with a no-obligation cost quote. Before our visit, we'll even send along a complimentary copy of our full-color basement book! If you live in Canada, The United States, or The United Kingdom, we're in your neighborhood, and we're standing by to help you!